I am finishing my associates in Business Administration with a concentration in Health Administration. 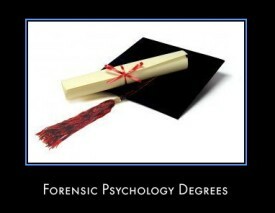 I would like to work with people in psychology and would like to know the best forensic psychology schools to attend. My two daughters are studying online for a bachelors in psychology to counsel, one in a center for addiction and the other is not sure where she wants to go with hers. Could you please tell me the best forensic psychology school that will utilize my ability and provide me with the best education in the field I want to commit to.